How can an international audience including Ministers and Ambassadors from around Europe and Europe’s Eastern Partnership (EaP) countries enjoy a harmonious cross-border collaborative concert without ever leaving their home country? At the second EaP Ministerial meeting on Digital Economy in Tallinn, Estonia on 5 October 2017 they did just that thanks to the ‘LoLa’ (low latency) audio-video data transmission technology. 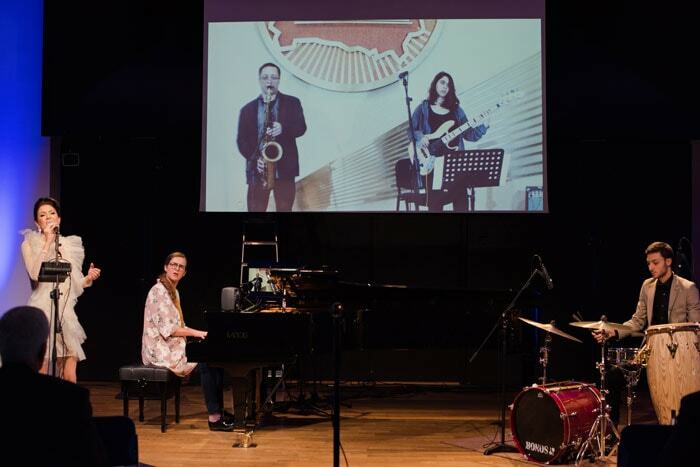 The EU-funded Eastern Partnership Connect (EaPConnect) project joined partners from five European countries to create a harmonious ‘Music Without Borders’ concert. Estonian and Armenian musicians located in Tallinn, Estonia played seamlessly together with Belarusian and Georgian performers who were connected in real time from Minsk, Belarus, thanks to LoLa technology and high-bandwidth research and education internet network links. This was the first time that LoLa was used in Estonia and Belarus and the event illustrated the capabilities of national R&E networks to support its use. LoLa technology was developed by the Giuseppe Tartini Music Conservatory in Trieste, Italy, in collaboration with the Italian research and academic network GARR. The ‘Music Without Borders’ concert was hosted by the Estonian Academy of Music and Theatre (EAMT). The Estonian R&E network link was provided by EENet of HITSA. In Minsk, LoLa was implemented at the Academy of Sciences (UIIP NASB) with the network provided by BASNET. With a programme of Mozart, jazz and a comic opera aria by Donizetti, ‘Music Without Borders’ was more than just an enjoyable concert. It demonstrated the power of R&E networks and LoLa technology have to support new opportunities for artistic performance and rehearsal and artistic research in the Eastern Partnership region. And the world. It was also a great leap in the exciting field of music education. “LoLa, supported by the networks, permits students to participate in real-time lectures and masterclasses with top teachers and artists, regardless of their location in the world,” said Ivari Ilja, Rector of the Estonian Academy of Music and Art (EAMT) and renowned pianist who performed two of the ‘Music Without Borders’ pieces. “This allows for experimenting with musicians abroad as well as performing with stage partners without having to leave the home country. The unique data transmission system creates unprecedented opportunities for international cooperation.” Ilja anticipates further use of the technology in the academy. Other renown performers included: Laura Põldvere, an Estonian vocal artist, Eurovision contestant and teacher; Reso Kiknadze, Rector of Tbilisi State Conservatory and saxophonist; Irina Kuchynskaya, soprano solist with the Bolshoi Theatre of Belarus; Henry-David Varema, Vice-Rector of EAMT and professor of cello; Oleg Iazina, senior violin teacher at the Belarusian State Academy of Music; Kirke Karja, jazz pianist; Katsiarina Shapochka, viola teacher at the College of the Belarusian State Academy of Music; percussionist Harutyun Mkrtchyan, a teacher at the Armen Tigranyan music school in Armenia; and Khatia Koridze, a singer and bass guitarist who’s a student at the Paliashvili Central Music School in Georgia. Currently close to 100 institutions in the world use LoLa technology. The EaPConnect project, led by GÉANT, funded the LoLa implementations in Tallinn, in the United Institute of Informatics Problems/BASNET (UIIP NASB) in Minsk, and also in the Institute for Informatics and Automation Problems of the National Academy of Sciences of the Republic of Armenia (IIAP NAS RA). “The EU is pleased to support since 2015 the Eastern Partnership Connect project and its efforts to provide not only physical networks to interconnect Eastern Partnership (EaP) and other countries with high-speed broadband connections, but also its efforts to build online services for research and education, to extend its reach beyond supporting big science and research and to offer support also to the arts and humanities. Projects like this are of strategic importance to help bring EaP and European neighbours closer together,” said the European Commission Directorate-General for Neighbourhood Policy and Enlargement Negotiations’ Neighbourhood East Director Lawrence Meredith. Partners in the ‘Music Without Borders’ collaboration were the national research and education networking organisations in Belarus (BASNET), Estonia (EENet of HITSA), Italy (GARR), Georgia (GRENA), and Armenia (IIAP NAS RA), plus the Estonian Academy of Music and Theatre, Tbilisi State Conservatory in Georgia, the Belarus State Conservatory, and the Giuseppe Tartini Conservatory of Trieste in Italy. 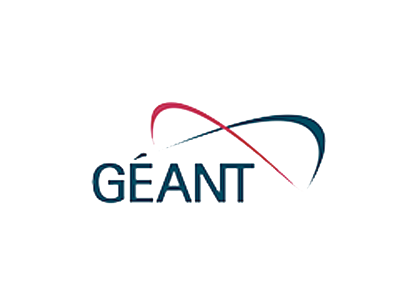 EaPConnect is managed by the GÉANT organisation and funded by the European Union.